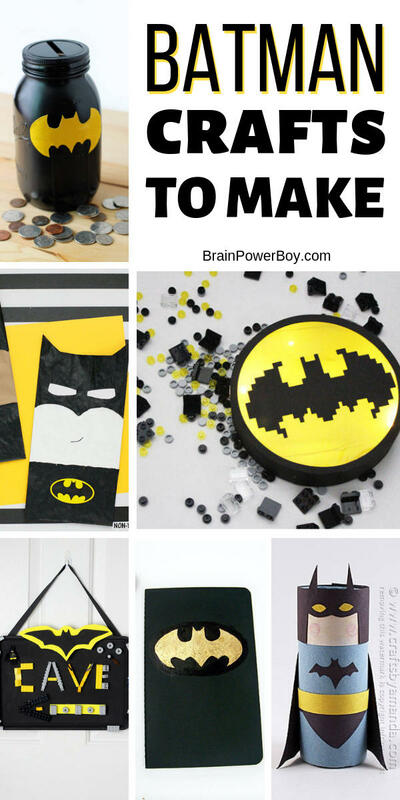 Batman Crafts You Won't Want to Miss! 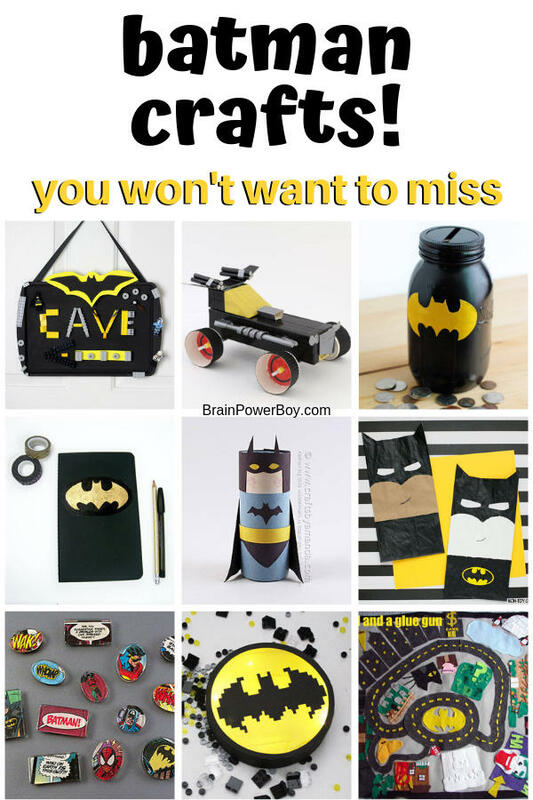 Batman Crafts You Won’t Want to Miss! 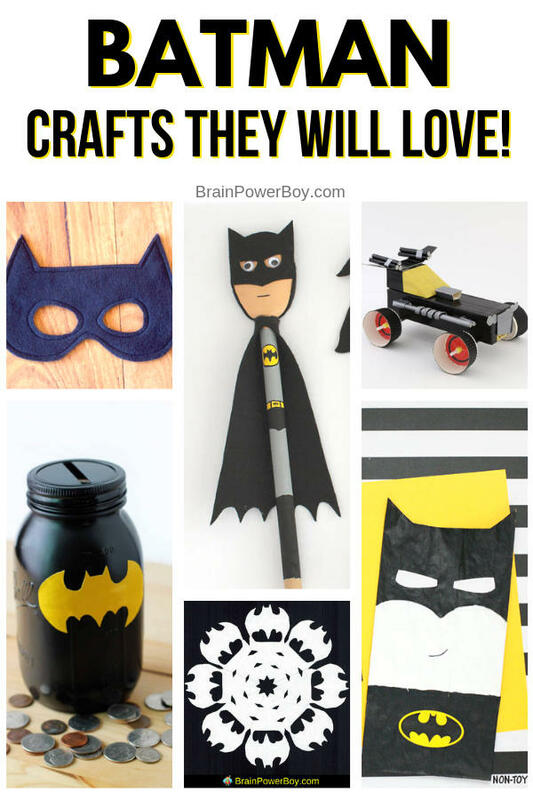 We are big batman fans around here and we also love to make crafts so we rounded up some Batman Crafts to do. You really can’t go wrong with Batman. He is the best superhero ever. 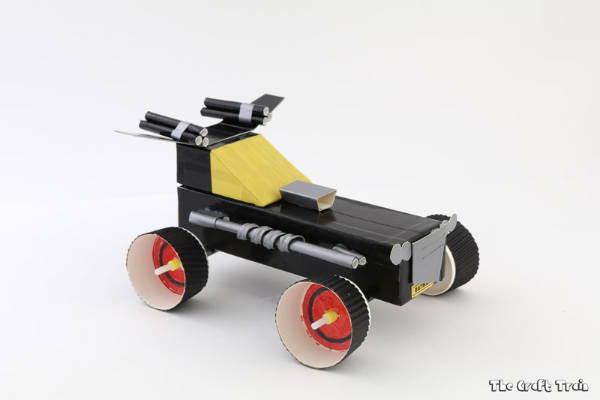 Be sure to check them all out to see which you would like to make with your kids. I have my eye on a couple of them myself! 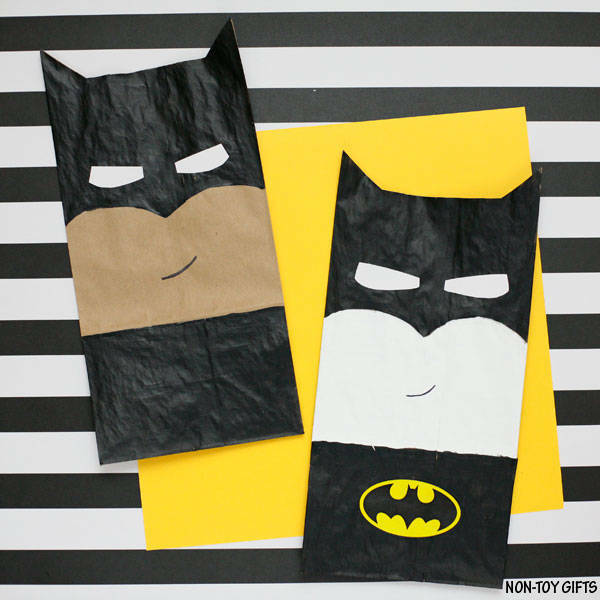 When you are through check out our other superhero crafts. Batman is from DC Comics. He has been around since 1939 and is a favorite of many comic lovers. Artist Bob Kane drew the original Batman and he has changed somewhat over the years. I am a fan of the classic look myself. 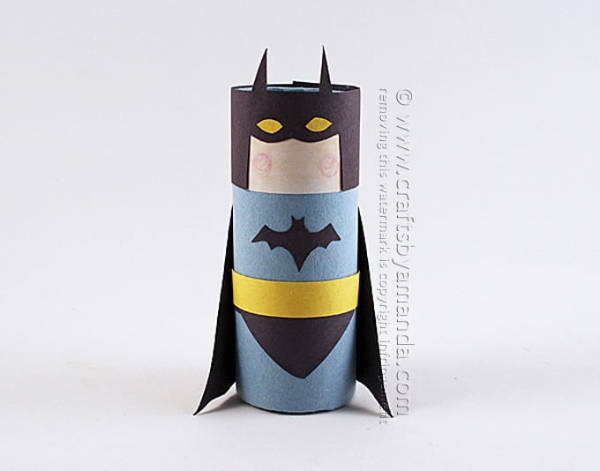 Today we have some crafts ideas featuring none other than the Caped Crusader himself. Dive in to see which you would like to make. Or, make a bunch of them! 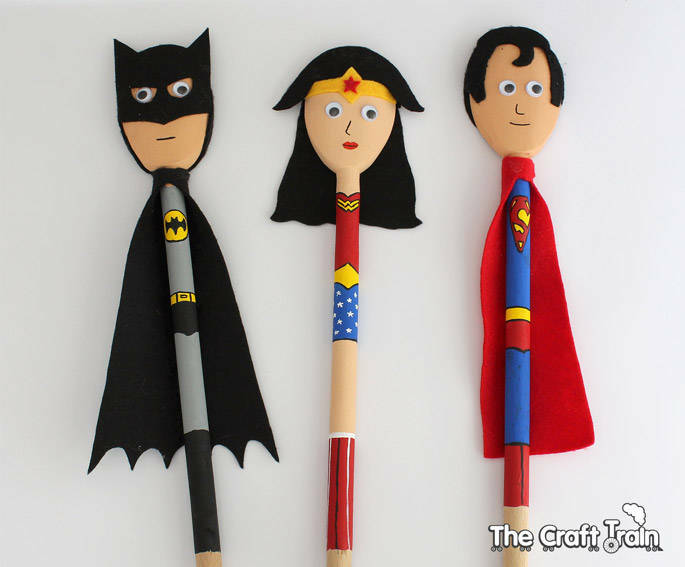 These crafts are BANG!, POW!, TWACK!, BOOF! amazing!! You did watch the original TV series, right? So you know where those sayings came from. There are a lot of cardboard tube crafts out there but this one is special. Why? 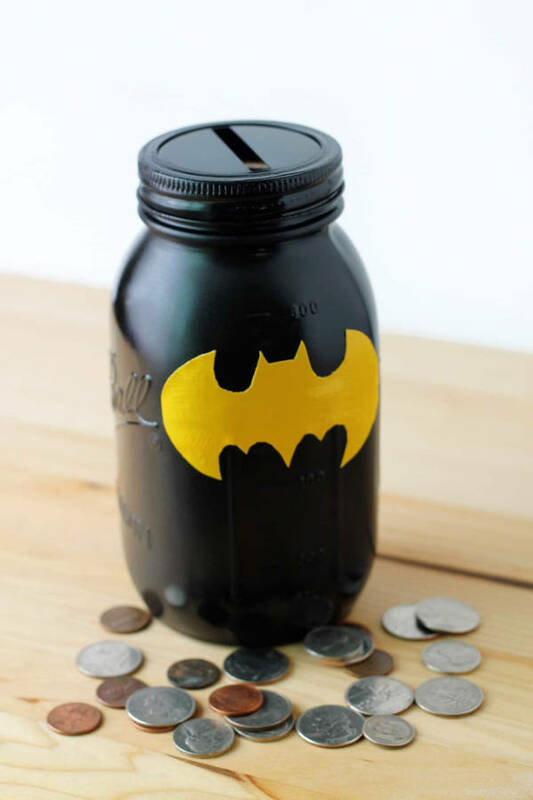 Well, because it features Batman of course! 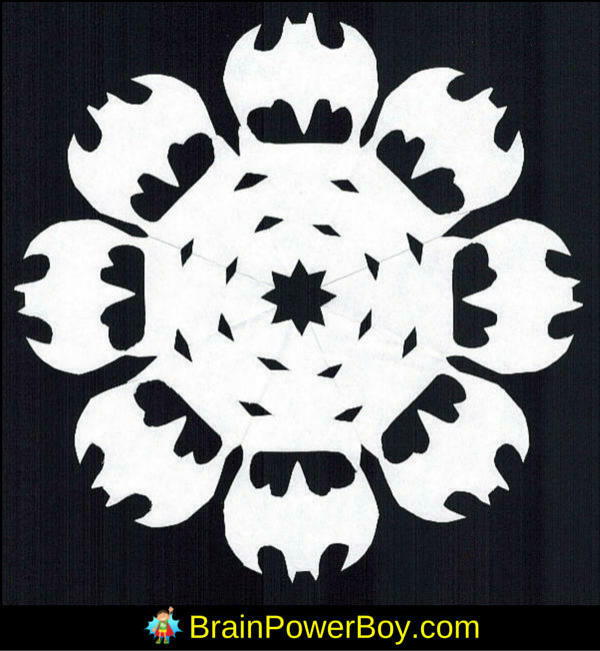 See Batman Coloring Pages as well! 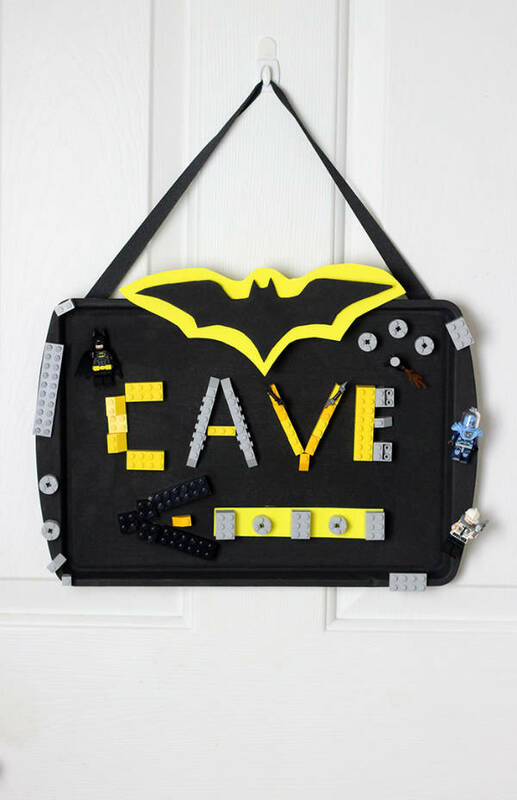 Elevate your school supplies with this craft idea. 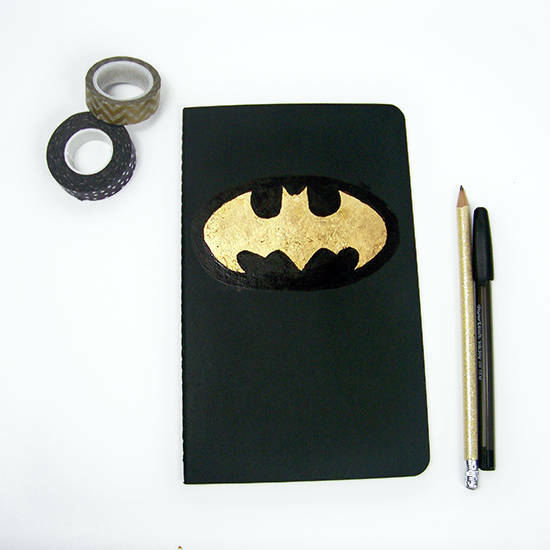 Take a plain black small moleskine notebook and transform it into a nifty Batman notebook instead. 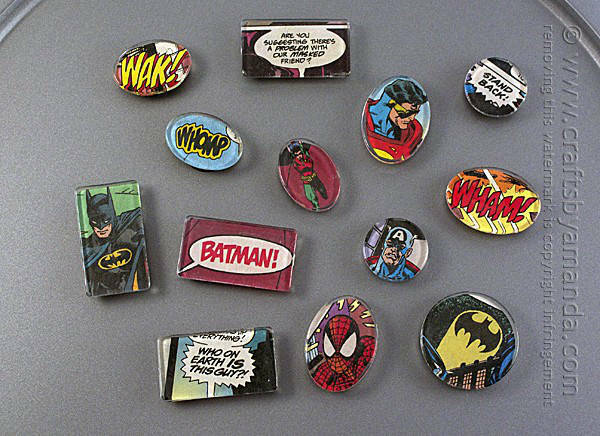 Within this collection of superhero comic book magnets are some Batman magnets to make. I really like these and think they are very cool. Woah! This Batman playmat is super detailed! This might be one you make mostly yourself, though I’m sure your young ones could help. 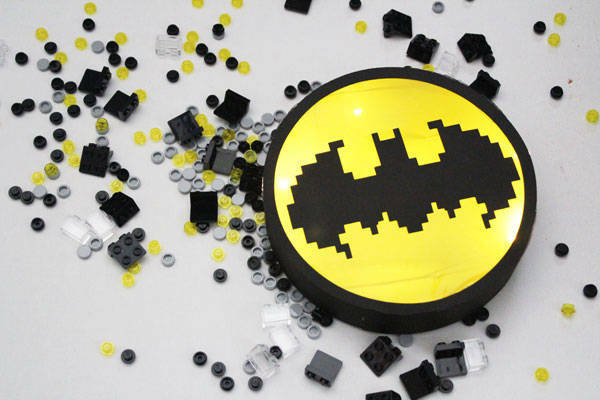 How about making a Batman mask? 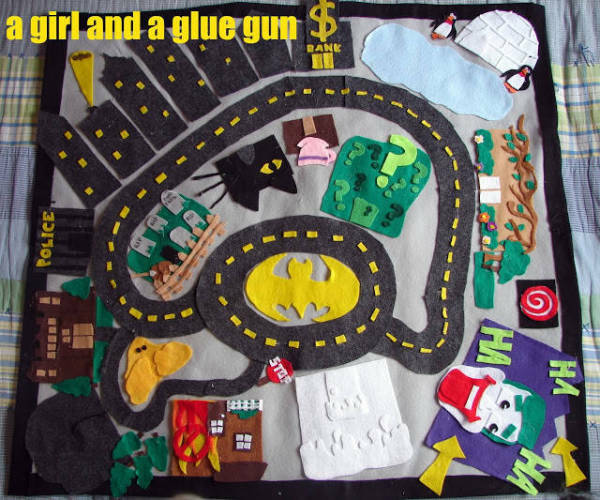 She sewed it, and it probably would look best like that, but I also thought it might be possible to glue it together with fabric glue if you really don’t want to sew. 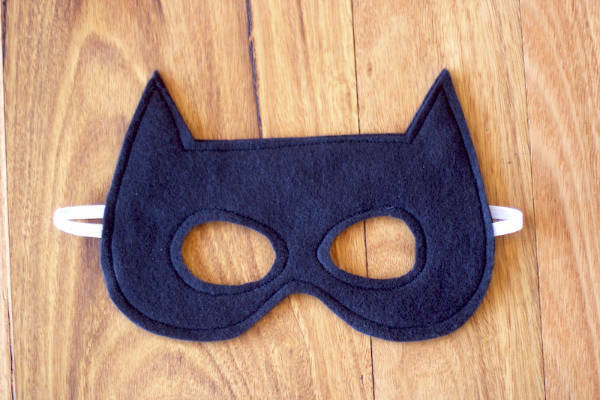 We found some cool Superhero Craft Kits too!